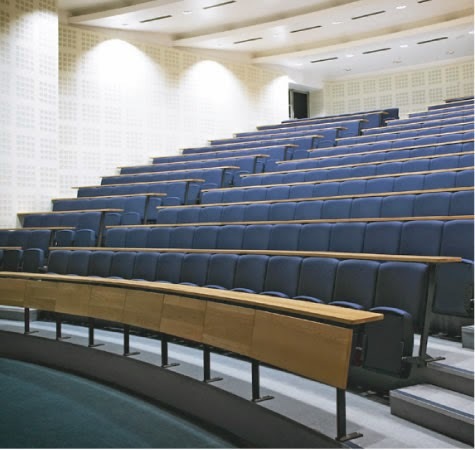 Institute of Chartered Accountants of Nigeria (ICAN) has donated a lecture theatre with 200-seat capacity to Obafemi Awolowo University (OAU) Ile-Ife, Osun. Mr Chidi Ajaegbu, the President of ICAN, disclosed this on Wednesday in Ile-Ife at the foundation laying for the construction of the theatre. Ajaegbu said the theatre would go a long way in assisting the Department of Accountancy to admit students that are more deserving into its training programmes. He said ICAN had produced over 38,000 chartered accountants who had been adding value to wealth creation processes in various fields of human endeavour around the globe. and encourage production of highly skilled accounting graduates. ``ICAN’s governing council recently approved construction of lecture theatres in five select tertiary institutions across the country, among which is OAU, Ile-Ife," he said. He lauded the institution’s management for taking advantage of the initiative by providing plots of land for the project. The president described the laying of foundation as a milestone in ICAN's relationship with the university. He also said that OAU had always been the institute’s great partner as the university’s Accounting Department had continued to provide quality input into its certification processes. Ajaegbu noted that some of the university’s students always pass ICAN final qualifying examinations even before graduation. ``This is a testimony to the quality of teaching and learning in OAU,’’ he said. Prof. Bamitale Omole, the Vice-Chancellor of OAU, said the university’s management team appreciated ICAN’s gesture.